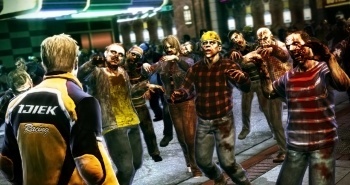 PS3 gamers shouldn't think that there's something missing from their version of Dead Rising 2, Capcom says, despite the lack of downloadable content. Capcom insists that PS3 owners aren't being short-changed by the decision to make the downloadable DR2 episodes exclusive to the Xbox 360, saying that they're just extras to the main game, and that it's complete without them. Co-producer Shinsaku Ohara said that PS3 gamers weren't being alienated by the exclusive DLC, because the game was whole whether you'd player Case Zero and Case West or not. He said that Keiji Inafune, Capcom's head of R&D, was sorry that PS3 players would get slightly less of the DR2 universe, but that they would still be able to enjoy the game. Blue Castle Games' Rob Barrett echoed Ohara and Inafune's comments, saying that Dead Rising 2 was designed to be a self-contained and enjoyable experience. Speaking to Eurogamer earlier in the month, Inafune explained Capcom's attitude towards the exclusive DR2 DLC, and said that it was a thank you to platform that had nurtured the first Dead Rising and made the sequel possible. "At the beginning we didn't know that this new IP would be a success, but the fans on the console really assisted in making it into one. So it's like a present, something that we gave back to the original Dead Rising fans." Dead Rising 2 is released for Xbox 360, PS3 and PC on September 24th in Europe and September 28th in North America.